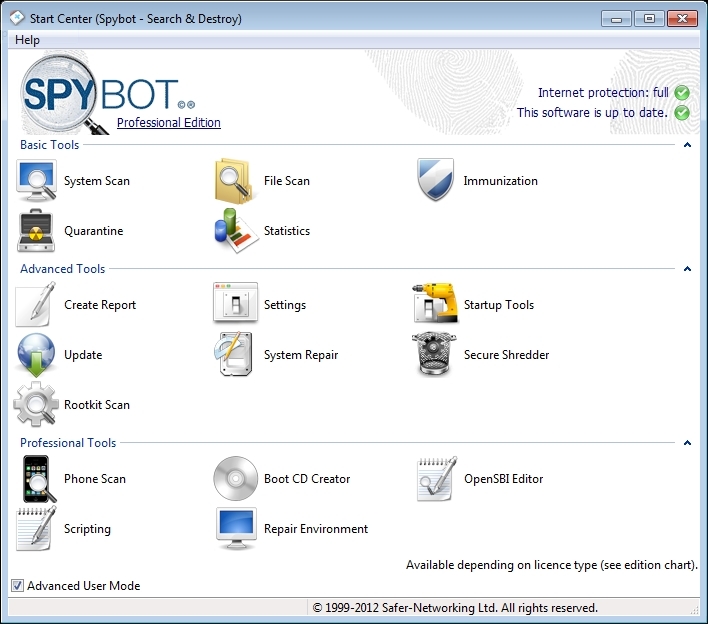 Developed By : Safer-Networking Ltd.
Spybot searches your hard disk for so-called spy- or adbots little modules that are responsible for the ads many programs show. But many of these modules also transmit information about your surfing behaviour and more to the net. If Spybot finds such modules it can remove them - or replace them with empty dummies in case their host wont work any more with its bot removed. In most cases the host software still runs after removing the bot. For a list of supported bots see the feature lists below. 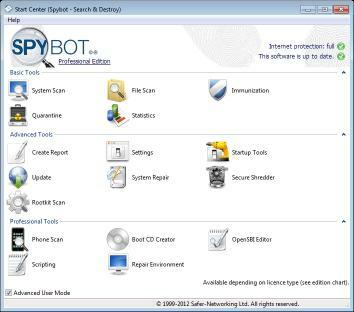 Another feature of Spybot is the removal of usage tracks which makes it more complicated for unknown spyware to transmit useful data. The list of last visited websites opened files started programs cookies all that and more can be cleaned. Supported are the three major browsers Internet Explorer Firefox and Opera. Last but not least Spybot contains some routines to find and correct invalid entries into the registry.